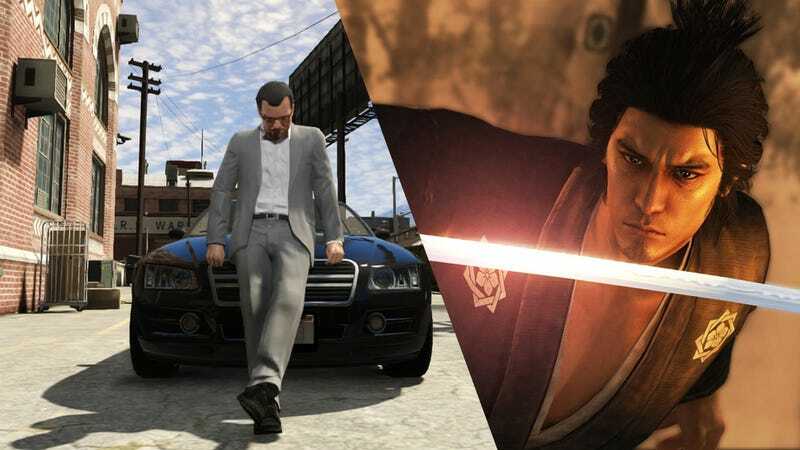 Yakuza series producer Toshihiro Nagoshi has previously stated that he hates Grand Theft Auto. You wouldn't think so when he was asked which one of last year's games impressed him the most. Hold on. Don&apos;t start sending hate mail to Sega just yet. Let&apos;s hear the man out. "Of games released in 2013, what title impressed/amazed you the most?" Among those asked was the producer of the Yakuza series, Toshihiro Nagoshi. He answered, "Grand Theft Auto V."
The veteran producer of the Yakuza series has stated before that while he doesn't like GTA, he does think it's an "excellent game." His explanation for his choice of what could only be described as his game of the year does indeed seem to reflect his respect for the title. Writes Nagoshi: "There are many games [in 2013] that caught my eye, however, I tend to be drawn to ones that are voluminous and have an edge to their uniqueness, and so [GTAV] was my choice." Nagoshi continued, adding, "Not only that, but I have to admit that I was impressed by the fact that, among all forms of entertainment throughout history, including movies and comics, [GTAV] was able to make record sales in record time. Behind the massive investment [by Rockstar] was a sure-fire strategy – and looking at the whole, content-wise, technology-wise, and business-wise, I can only call it 'perfect'." High praise, considering his dislike of the way GTA, in his opinion, emotionally promotes the idea that killing and committing crimes is fun. Despite any negative feelings he may have, he is still clear-headed enough to recognize and respect a good game when he sees one.